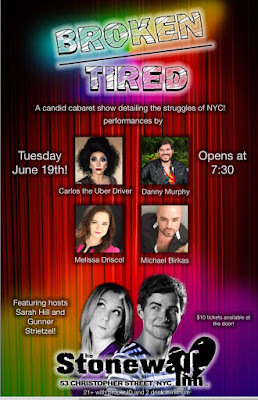 I'm joined by Broken/Tired hosts Sarah Hill and Gunner Streitzel to discuss the latest edition of their show Broken/Tired at the legendary Stonewall Inn! To listen to the episode, visit iTunes or SoundCloud! And leave a 5 star review while you're there!